From glacial rivers to expansive bays, our state's waters are a great way to see wildlife, glaciers and Alaska's incredible landscape. Don't spend all your time in a car driving around: Get out on the water and see Alaska. Arranging your own whitewater rafting or sea kayaking trip may seem daunting, but there are several whitewater guides, boat charters and sea kayak rentals to make day and overnight trips easy for visitors. Human-powered trips like rafting and sea kayaking are uniquely rewarding, but to see the most glaciers and marine mammals, it's worth considering a boat tour. In Prince William Sound, make an effort to see Blackstone Bay or Harriman Fjord, both of which have glaciers that pour from extensive icefields down into the ocean. You will almost certainly see a profusion of marine mammals including otters, seals and whales. 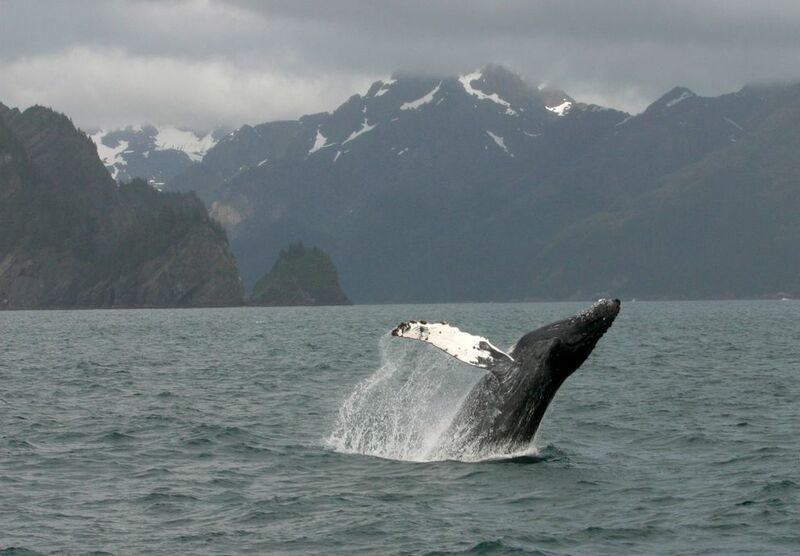 Major Marine Tours has half- and full-day cruises in both Prince William Sound and Kenai Fjords National Park. Prince William Sound options include both Harriman Fjord and Blackstone Bay. I strongly recommend the full day, which is a little more time and money in exchange for seeing much more of this incredible state. Phillips 26 Glacier Cruise has a slightly different itinerary: It travels up College Fjord, taking in views of the perilously steep glaciers that cascade down from Mount Marcus Baker, the highest peak in the Chugach, before traveling through Harriman Fjord. Kenai Fjord Tours offers short trips in Resurrection Bay, including a dinner cruise, which have breathtaking scenery of towering peaks and hanging glaciers above Seward. However, I recommend the longer trip to Northwestern Fjord: You will see an incredible amount of wildlife, potentially including puffins, sea lions and whales, as well as the awe-inspiring tidewater glaciers that emanate from the Harding Icefield. At around $160 for these tours, you'll pay less money than it'd take to buy gas to take your own boat. While these boat tours are accessible to people of all ages and abilities, athletic travelers will enjoy them as well for the scenery and wildlife. Did you ever want to paddle whitewater from a river's glacial source? Book a trip with NOVA on the Matanuska River. "Lion's Head," a section of Class III-IV whitewater that cascades between towering cliffs and the Matanuska Glacier's terminal moraine, is one of the most scenic day trips in the United States. If you prefer a more mellow float, NOVA also runs trips through the easier rapids just downstream of Lion's Head, which is particularly stunning as the leaves change color in August. If you're on the Kenai Peninsula, a trip down the Class IV-V Six Mile Creek should be at the top of your list. Six Mile's turquoise waters wind between overhanging cliff walls and hammer down intimidating rapids. It is one of the most intense guided raft trips you'll find in the country, due to the tight lines and powerful, sometimes continuous rapids on the creek. Only physically fit individuals who can swim well should sign up for this trip with the Chugach Outdoor Center. Regardless of which trip you take, the approximately $100 price is a bargain for the skilled guiding and gear that allows you to see these incredible rivers. 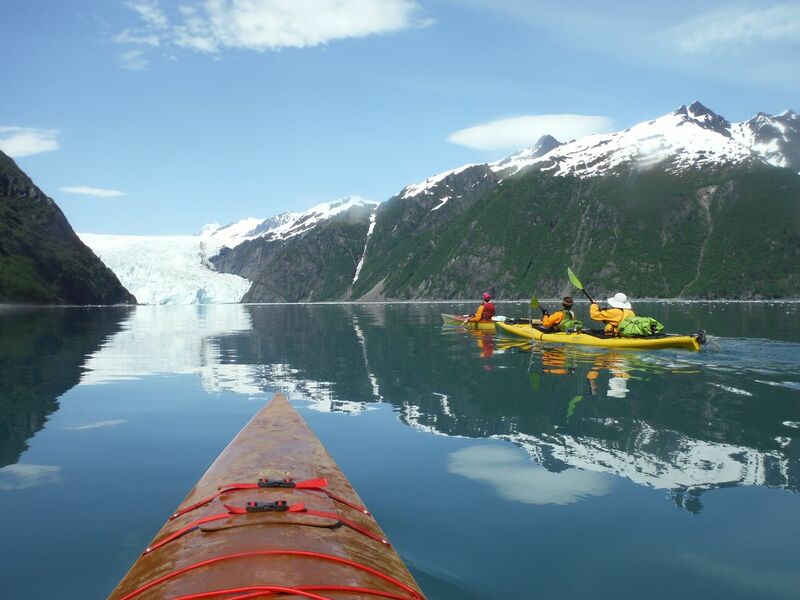 Though the Gulf of Alaska has some of the world's worst maritime weather, there are often calm waters and spectacular sea kayaking near Anchorage. Take a day trip to Resurrection or Kachemak Bay or an overnighter to Prince William Sound to observe whales, otters, sea lions, glaciers and towering peaks. To paddle in Resurrection Bay, drive to near the road's end and rent kayaks from Miller's Landing, which is conveniently located to paddle out to Caines Head and back. You may see mountain goats down by the water, in addition to sea arches and marine mammals. In Kachemak Bay, pay Mako's Water Taxi for the quick (20 minute) ride across Kachemak Bay, and paddle around Yukon, Grass and the Herring Islands. Mako's runs trips all day, so you can head out in the morning, paddle for a few hours and come back in the evening. Prince William Sound has one of the most underrated sea kayak trips in the region: an out-and-back to Decision Point, 9 miles each way. Rent kayaks at Epic Charters and follow the shoreline out to Decision Point's breathtaking campground, which has bear boxes and cleared tent sites. On a clear day, you pass massive glaciers and soaring peaks just on the other side of the bay. Make sure to check the weather before embarking on any sea kayaking trip, and don't head out unless the marine forecast calls for calm seas (2 feet or less). The marine forecast is easy to find: On weather.gov, simply click on the body of water you plan on visiting. Regardless of how long your visit to Alaska is, prioritize a trip on the water: There are no better views in the state.